The guest for this interview came from the recommendation of a listener. Thank you! Keep the quality recommendations coming. 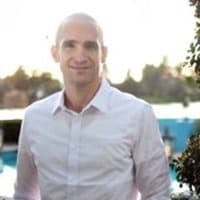 Nir Eyal has been a startup co-founder, a CEO, and now helps product teams build habit-forming products. He is also the author of the book “Hooked,” which tells you how to create products that capture the attention of consumers and create engagement. Nir’s interest has been in the intersection of human behavior and products that hook customers’ attention. He gained insights from his involvement in gaming and advertisement. Sometimes the techniques these industries used to influence human behavior worked and sometimes they did not. Those involved in the industries did not necessarily understand why certain techniques worked and others did not. He created the “Hooked” model to explain what does work. The “Hooked” model applies best to products that require repeat engagement. This is clearly appropriate for many software applications (e.g., Facebook, Twitter, Google) but can also be incorporated in the service aspects of other products. Even if your product does not require a habit – repeated engagement – there still is much to learn from the study of human behavior and thinking in terms of hooks for building habits. Any business can benefit from helping customers take the key action you want them to take by making it as easy as possible – decreasing the distance between problem and solution – need and reward. Trigger: a cue to action that tells the user what to do next (e.g., “You got to see this video!”). A trigger leads to an action. Action: the simplest behavior done in anticipation of the reward (e.g., clicking on the link to see the video). Variable Reward: satisfies the customer’s curiosity or need for taking action. Adding a bit of variability creates surprise and enhances anticipation that keeps customers returning (e.g., mailing video updates weekly but varying the day they are mailed). Investment: for customers to be truly hooked, they must have some investment in the product themselves – some work they perform that helps create attachment to the product (e.g., enhancing or completing their customer profile). Trigger: after installing it, the app asks you to start a Bible verse reading plan. Later the plan sends you a notification telling you what to do first. Action: open the app to be taken to the verse in the reading plan. Variable Reward: the reward is in the content of the reading plan itself – what you will find or discover by reading the next verse and seeing what is in it for you. Variability is added by sending notifications on an irregular schedule. Investment: you are shown a progress meter of your advancement through the reading plan and given the opportunity to choose additional reading plans. Your progress influences the notifications you receive, encouraging you based on your pace through the reading plan. Nir’s blog with numerous details and examples about the Hooked model. Nir’s book, Hooked: How to Build Habit-Forming Products.